. 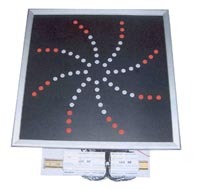 : displays and optoelectronic components :. Acriche series by Seoul Semiconductor is designed for AC current based operation. 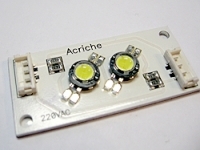 Anyway can easily use acriche for their AC-current lighting applications. 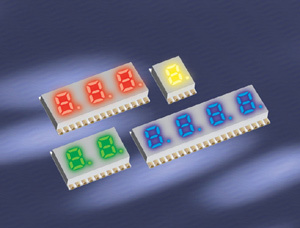 The P3 Z-Power series of high-power LED packages, which includes a package containing eight high-power red, green, blue, white, warm white, amber, cyan, and royal blue chips. The P9 is designed exactly to meet customer needs. The P9 series appeals to customers requiring products where cost and power consumption are much less than 1W power LEDs, and where brightness exceeds any conventional lamp LEDs. Also, the P9 series is reflow solderable while other lamp LEDs are not available for SMD. Company Fush offers the high-quality DC power supplies intended for use in the outdoor advertising based on light-emitting diodes. 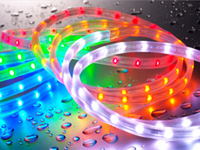 Company Fush starts to manufacture LED-strips for the illumination of signs and light boxes, dimensonal letters, design elements of ineterior. The new controllers's family is intended for control of light-emitting diode clusters. 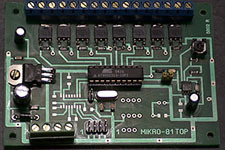 Number of the output channels no more than 8 (MIKRO-81/81F) and 14 (MIKRO-14X). The controller allows to play a special movie consisting of separate frames. The length of the movie are limited to internal memory - about 100 frames. 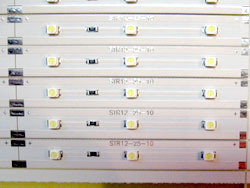 08.11.2004 08.11.2004 Company " Fush " has made a sample of controller LLC32 for management of LED-clusters and has declarediness to start to manufacture of the given product. Given device with connected LEDs based board was submitted at an exhibition " the Industry 2004 ", taking place in Riga from November, 3 till November, 6 this year, and has caused the big interest in representatives of advertising, show-windows and interior designers. 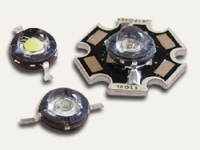 Kingbright enhances their SMD LED range by offering another innovated package, the KPED-3820 series. 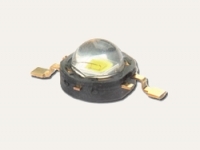 Thanks to the new design of 60° horizontal viewing angle and a 35° vertical viewing angle, this new oval lens SMD LED emits extremely wide horizontal viewing light pattern entertaining applications, such as LCD backlight, that cannot be fulfilled by a SMD LEDs with single band of viewing angle among the major and minor axis. 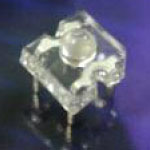 The crystal clear package of this 3,8mm x 2,0mm x 3,2mm package enhances the brightness of the latest AlInGaP and x-bright InGaN technology LED dies by reducing the loss of light to the surrounding at the minimum level. KPED-3820 series are available in various colours as well as Blue and White. This package is an ideal light source for backlighting, signalisation, indicators and automotive applications. This ultra thin & small 0402 design (1.0mm x 0.5mm x 0.5mm) comes with an GaN blue LED chip which provides the luxury of having blue indication in an application with a fraction of the cost of the tradition blue SMD LED. 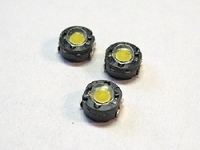 Kingbright is also extending this cost advantage in blue technology to all other SMD LEDs in our products line. Kingbright's newly introduced 0402 package is available in the full spectrum of color (from 430nm to 700nm) and brightness (from AlInGaP to InGaN technology) beside the low cost GaN option. Please do not miss this opportunity to enhance your product design by adding a low cost blue LED and contact us immediately for pricing and delivery information. Kingbright has advanced the start-of-the-art designs and developed the new display technology, the thinnest and brightest SMD LED displays. The flat pad design with an inner connection eliminates the need of leads, which allows this unique leadless device for automatic pick & place and easy mounting on PCBA. This newly innovated SMD display eliminates manual inserting process to reduce time and decrease assembly cost associated with traditional manual insertion method The KP SMD displays, only 0.148 inches thickness, besides single digit, the dual, three and four digit numeric also available, there are character of 0.2, 0.3, 0.4 and 0.56 inches for choices, these KP SMD display series is ideally suitable for compact devices that require digital numerical display capabilities and excellent character appearance. Our huge color selection covers the full visible spectrum and ultra bright options including blue and white. The so-called „Chameleon LED" is assembled with super-bright LED-chips and available as following version: KAF-5060PBESEEVGC: 470nm InGaN blue 621nm InGaAIP hyper-orange 520nm InGaN mega-green The single chips can be driven separately which allows to produce any colour in the visible spectrum, including white light. The LED-chips of the latest generation will supply the required high luminous intensity, a stable and long lifetime at a low poer consumption.